“If we’re interrupting your lunch, I apologize,” the tall congressman shouted inside a fast food restaurant on the outskirts of Alpine last Friday. Twenty-nine counties along the Mexican border in between San Antonio and El Paso make up the 23rd Congressional District of Texas, one of the largest in America. The district will likely host one of the most competitive races in the nation this November. First-term Republican Will Hurd narrowly defeated Democrat Pete Gallego in 2014, but is facing him again in the fall. Gallego was a west Texas fixture in the state legislature for over 20 years and will certainly benefit from anti-Trump voters, although Hurd has nothing good to say about the GOP presidential candidate. 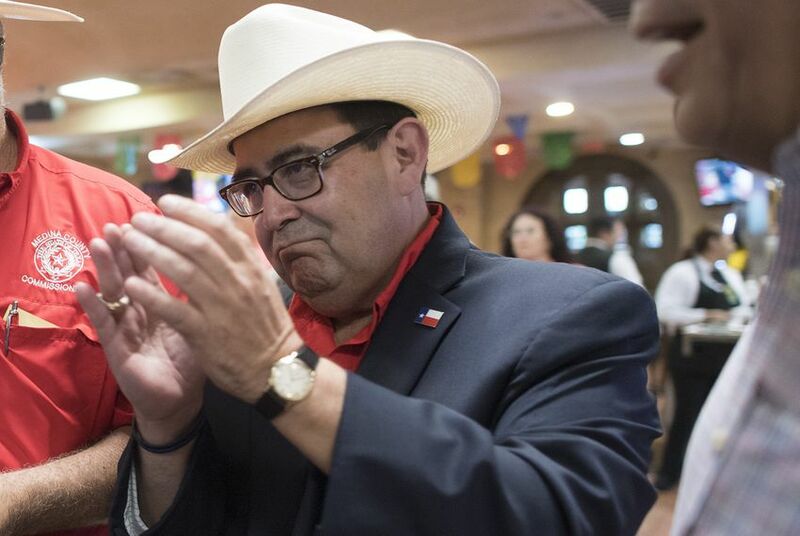 Hurd attempted to reach as many voters as he could last week, over a six-day period visiting 22 Dairy Queens and one coffee shop in the west Texas desert. One of his final stops was in Gallego’s former hometown, Alpine, where the Democrat’s campaign posters dominate the landscape in all shapes and sizes. The congressman pointed to successful bills that funded community health clinics, simplified the tax code for small businesses, and replaced the No Child Left Behind education initiative. Hurd himself sponsored bills that maintained Border Patrol pay and border infrastructure. Veterans Affairs are certainly important to Will Hurd. He was eager to brag about all of the complaints and issues he was able to resolve with individual patients, but couldn’t deny that problems persist at all levels of the V.A. from basic to urgent care. Hurd encouraged him to sign some paperwork so his staff could handle his case personally, one voter at a time.